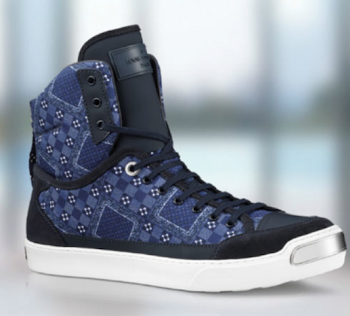 Louis Vuitton scored a win against start-up sneaker manufacturer LVL XIII, when a federal appeals court affirmed dismissal of the latter’s trade dress suit against Vuitton. The case illustrates the difficulty of protecting new designs, particularly for small fashion and luxury goods startups. 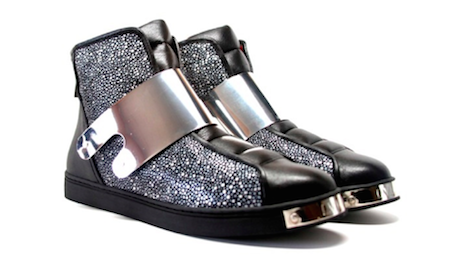 LVL XIII asserted “trade dress” rights in its design of a metal plate at the sneakers’ toe-end – meaning that the design functions as its trademark by identifying the sneakers as it brand. But such claims require a strong showing of consumer association – that the public identifies the design with a single brand owner. That takes time and significant investment of resources to promote and market the design. LVL XIII is a fashion startup, formed in late 2012. It launched a line of sneakers in July 2013, and began selling to the public in November 2013. In the next five months, it manufactured 1,000, but was only able to sell 500 pairs, at a retail price of between $495 to $595. LVL XIII applied for trademark protection from the United States Patent and Trademark Office, but was rejected in July 2014, two weeks after it had filed suit against Louis Vuitton. LVL XIII asserted that the metal plate was its “trade dress” – meaning the plate functions as its trademark, identifying the sneaker as an LVL XIII product. LVL XIII’s case faced a major hurdle. In 2000, the Supreme Court ruled that for product designs to qualify as trade dress, the owner has to show that, through significant promotion and sales, the public identifies that design with a single brand (termed “secondary meaning” in trademark law), often a difficult thing to prove. The appeals court rejected LVL XIII’s argument that the metal plate was more like a logo, which also can be a trademark, without that difficult showing. That meant that LVL XIII was required to prove secondary meaning. LVL XIII’s proofs were exceedingly weak – not surprising, given that it had only introduced its sneaker line less than a year before Louis Vuitton began selling its line of goods, and sales and promotional efforts had been modest. Since LVL XIII could not sustain proving that the market associates the metal plate exclusively with LVL XIII, it had no trade dress rights in the metal plate. The court of appeals affirmed judgment for Louis Vuitton. Takeaways Legal protection of designs can be challenging, particularly for small startups in the fashion and luxury goods industry. Designers need a foundation strategy to protect their designs and that may well require using multiple forms of intellectual property protection. Trade dress, which is the right asserted by LVL XIII, can indeed be a powerful way to protect product designs. But one major drawback is that it takes time and significant investment of resources to achieve the required level of consumer association of design with a single brand. This can be especially challenging for small companies and designers with limited resources. Until “secondary meaning” is achieved, newly introduced designs remain unprotected, and hence are free to be copied by others. And the very act of copying by others can prevent the design from becoming associated with a single brand – defeating any chance of ever gaining trade dress protection. This is precisely what happened in the LVL XIII versus Louis Vuitton dispute. Louis Vuitton began offering its competing line only four months after LVL XIII began selling its line, and that was simply not sufficient time to develop consumer recognition. Design companies should consider using additional forms of intellectual property to protect the designs, which, unlike trade dress, do not require a showing of consumer recognition. Two protections that LVL XIII might have considered are design patents and copyright, assuming the design qualified. Design patents protect ornamental aspects of new designs – if they are truly novel to the field of design. While very powerful, they do not protect the designs until the patent is issued by the Patent Office, perhaps a year or more. But they last for 15 years. As to copyright, I recently wrote about a 2017 Supreme Court decision, “US Supreme Court offers expanded copyright protection opportunities to luxury goods firms,” that facilitates copyright protection for decorative features of clothing and accessories commonly sold by luxury brands. However, to qualify for copyright, a design must show at least minimal creativity. It would be a close question whether LVL XIII’s curved rectangular plate qualifies. While it is not clear that LVL XIII could have successfully used a design patent or copyright to protect its design, for many designers, these other forms of protection can be very useful to protect designs in their early stages, and maintain exclusivity against pirates and copyists. Later, after extensive promotion and sales establish the design in the mind of consumers, it becomes easier to claim trade dress rights.